Most chrysanthemums bloom in autumn, but often times in Japan, one can see them all year round. 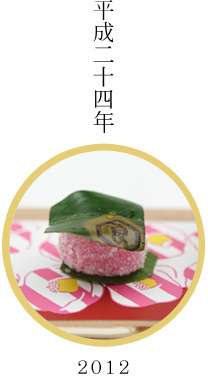 The plant grows well in the Japanese climate and the flower is very emblematic of Japanese culture. Many traditional Japanese family crests feature chrysanthemums and it is custom to serve chrysanthemums to Buddha. 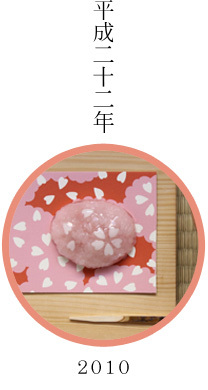 There is even a popular chrysanthemum doll. Autumn, when we hear news of chrysanthemums. 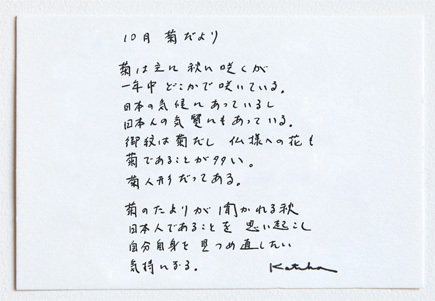 It is a time that reminds Japanese people of their national identity and calls for introspection. 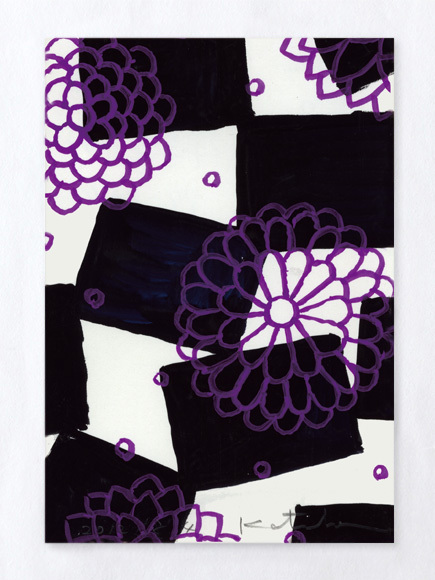 The textile design for October is "News of Chrysanthemums"
The flowers that represent Japan are cherry blossoms in spring, and chrysanthemums in autumn. 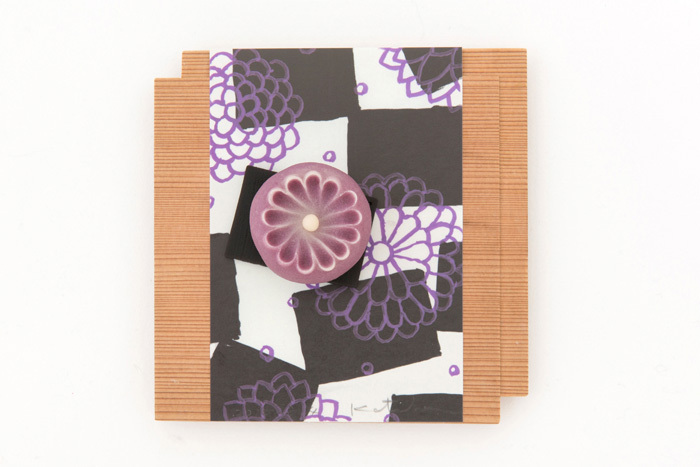 The chrysanthemum motif is used for the family crest of the Japanese Imperial family. 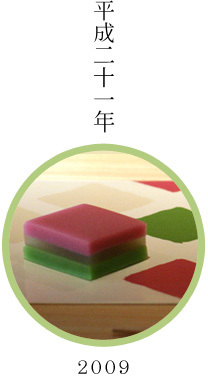 This motif is also used for wagashi often and there are several wagashi that feature chrysanthemum patterns. 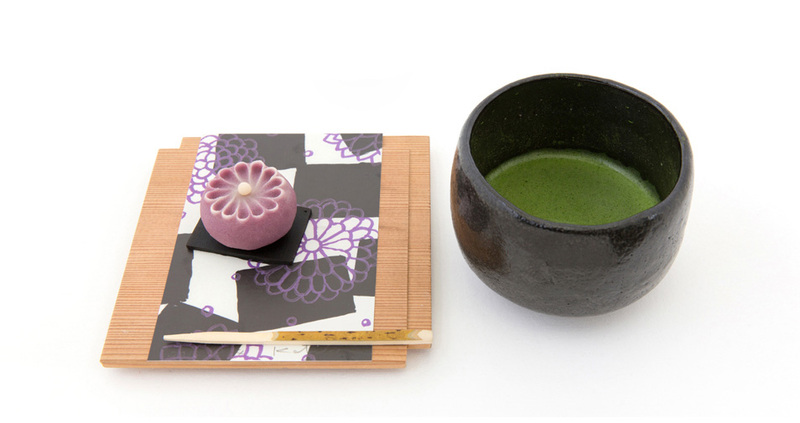 The purple part of the chrysanthemum wagashi is pureed purple yam, and the black square part is thinly sliced brown sugar yokan with bamboo charcoal. 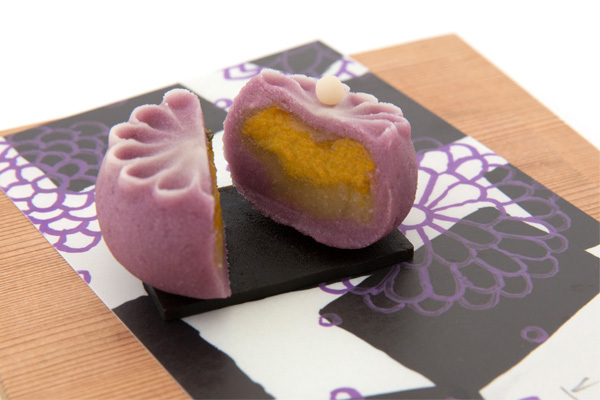 This wagashi is made of 3 layers of pumpkin cooked in coconut juice, anko made of sweet potato, and pureed purple yam. 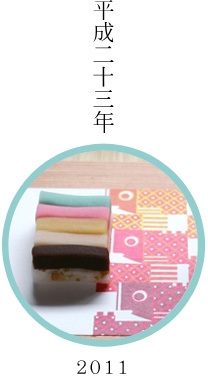 The white circle part on top of it is mix of sweet white bean anko and mashed potato.